Ten shows, nine beautiful English towns, 1,800 miles driven, endless cups of tea, a few pints, fish and chips and mushy peas, one attempt at Marmite on toast and many snacks of crisps (chips) and sweets (Maltesers rock!) 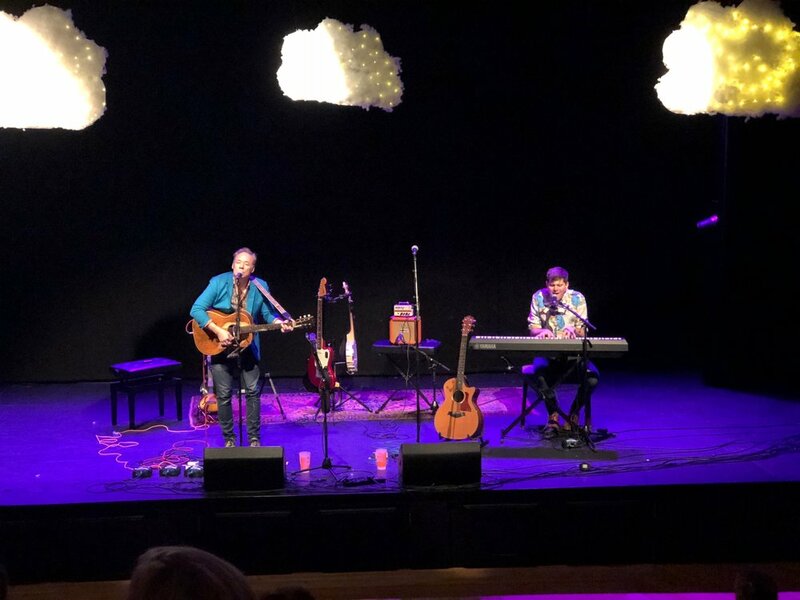 added up to a memorable UK trip where David Gibb and I shared our uniquely fun, feel-good musical collaboration with audiences of kids and families. for their warm hospitality, vision and hard work to make this tour happen. I loved working with them both. Ellie crafted magical clouds for the stage and managed our ambitious tour itinerary. She was also in charge of “the pack,” always finding enough room in the car to squeeze in all of our instruments, amps, the clouds and some days, their sweet lil’ kitty, Finn! Sharing the stage with David was a joy. His songs are enchanting and he’s an ace musician. His charm and kindness made me feel right at home on my first visit to the UK. He and the audiences did have a crack up about me being new to their culture - sampling their beloved foods and learning how to make a proper cup of tea! The milk goes in first, right? My wife Bridget was able to join us for part of the tour; I loved sharing this experience with her. She also took some beautiful pics along the way. 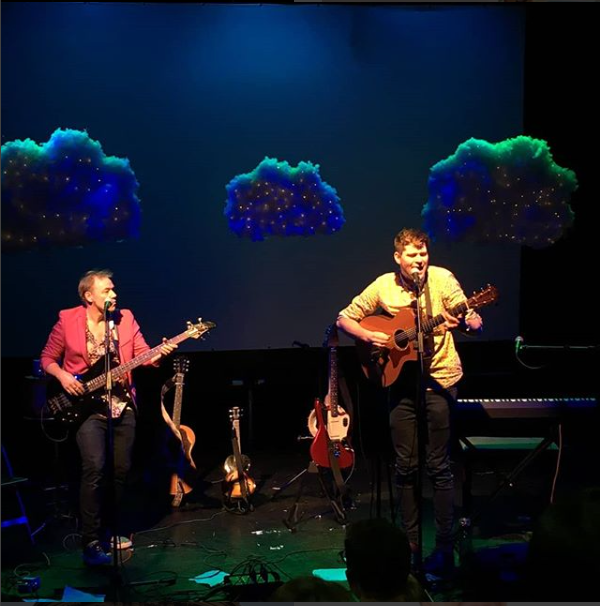 Cheers to all of the venues, theatre crews and staff, friendly librarians who never failed to greet us with a cup of tea, and Sarah Edmonds for the lovely tour poster and graphics. Many thanks to Talia Smith for her social media brilliance - sharing this adventure with our US (and new UK) fans as it was happening day to day was a treat. What a pleasure it was to get to know David and Ellie’s families! Ellie’s mom and dad took in a show, then treated us to a lovely lunch in Farnham. David’s mom welcomed us into her home and cooked up many wonderful meals. I had my first Sunday roast complete with Yorkshire pudding and sticky toffee pudding for dessert! to all of the families who came out and supported the tour. So wonderful to meet you and share our songs and stories. We can’t wait to see you again! Check out two orignial tunes we wrote for the tour! Songs across the pond on itunes here!